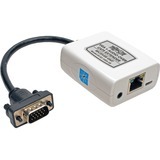 The B132-008A-2 8-Port VGA + Audio over Cat5/Cat6 Extender/Splitter works with a B132-100A or B132-100A-WP-1 remote receiver to split a VGA audio/video signal into nine separate signals-one local and eight remote. 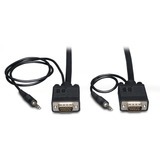 It's ideal for digital signs, trade shows and other applications where the video source is located farther than conventional cables allow or that require multiple displays connected to one source. 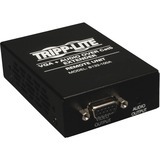 The B132-008A-2 uses VGA cable(such as Tripp Lite's P504-Series) to connect to the source and displays and Cat5e/6 cable to transmit to the remote receivers. 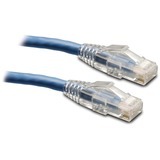 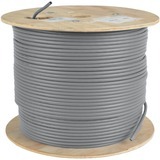 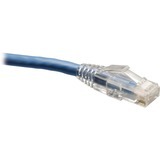 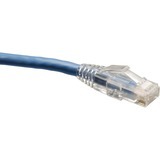 For best results, use 24 AWG solid-wire N022-01K-GY(Cat5e) or N222-01K-GY(Cat6) cable. 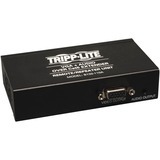 When used with Tripp Lite's B132-Series active remote receivers, the B132-008A-2 can extend a 1920 x 1440(60 Hz) signal up to 500 feet and a 1024 x 768(60 Hz) signal up to 1,000 feet. 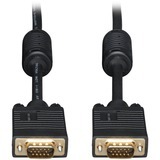 By daisy-chaining up to six units, one audio/video source can transmit to as many as 49 displays-48 remote and one local. 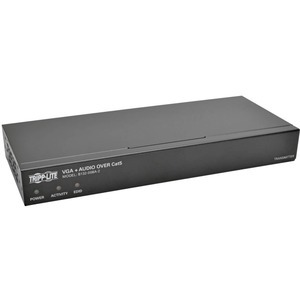 Add up to three B132-110A remote repeaters to each channel to fully extend the signal range or add more displays. 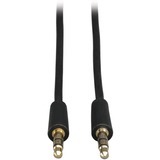 You can extend a 1920 x 1440(60 Hz) signal up to 500 feet or a 1024 x 768(60 Hz) signal up to 1,000 feet from the first repeater in the chain to the last receiver. 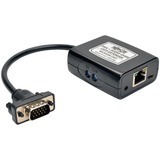 The B132-008A-2 also delivers high-quality audio and copies EDID information from a connected display to ensure optimal compatibility. 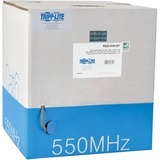 Easy to set up with no Software Or Drivers To Install. 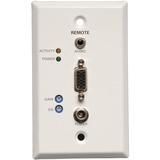 Mounts To A Wall, Rack Or Pole Using The Included Hardware. 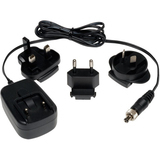 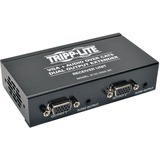 VGA + Audio Daisy-Chain Cable, 1 ft.
Tripp Lite Dual VGA with Audio over Cat5 Extender, Receiver, Up to 300-ft.